Makeup Artist in Cape Town. A makeup artist or make-up artist is an artist whose medium is the human body. Applying makeup on others for television, film, fashion, magazines and other similar productions including all aspects of the modeling industry. The use of digital cameras have made the use of bridal make up more popular. Fashion makeup is used in magazine photography as well as on the fashion runway. Fashion makeup is also commonly used in television and film ranging for the natural prime look to more sophisticated applications such as color balance. Stage makeup is used as a method in conjunction with stage lighting to highlight the actors’ faces in order to make expressions visible to the audience from moderate distances. This often includes defining the eyes and lips as well as the highlights and lowlights of the facial bones. Mirjeta achieved a Diploma from the Professional Makeup School (PMU) in 2006, and continued to work closely with the institute’s Founder, Joy Terri, for two years as a Makeup Artist. She then enetered the retail market, working for MAC Cosmetics. 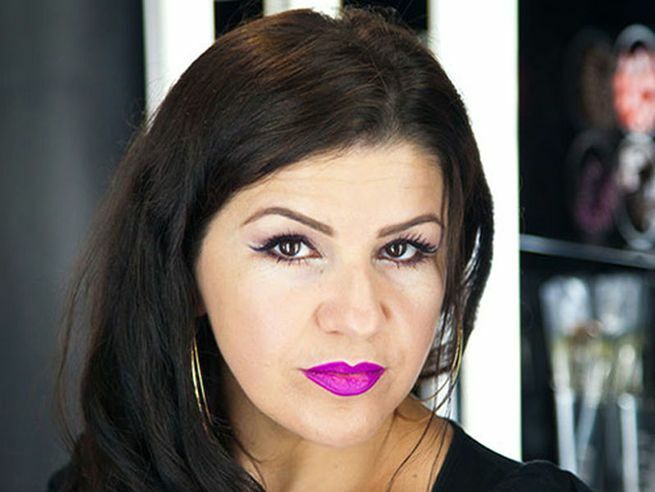 Over the years, Mirjeta has built a loyal clientele and a uniquely skilled approach to beautifying her customers. As an added benefit, Mirjeta offers trained photography skills too, having completed photography Diplomas at both the University of Cape Town and the Shaw Academy. This gives her the insight required to deliver perfect on-camera makeup. Mirjeta not only enhances her client’s beauty but captures it too, offering photography at their request.